Jordan Brand gave has another treat for us after the famous shoeline released two new colourways of the elegant Jordan TC model. 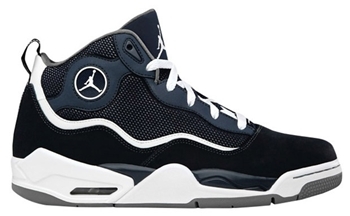 The Jordan TC, which was well-accepted during the earlier releases of this shoe, is now available in Obsidian/White – Cool Grey and Black/Metallic Silver. Both colourways of the silhouette are equally impressive and can definitely turn heads everywhere. Grab one now and you will surely like it! Two New Colourways of Jordan Prime 5 Released! Two More Air Jordan 8.0 Released Today!